This meme is complete rubbish. 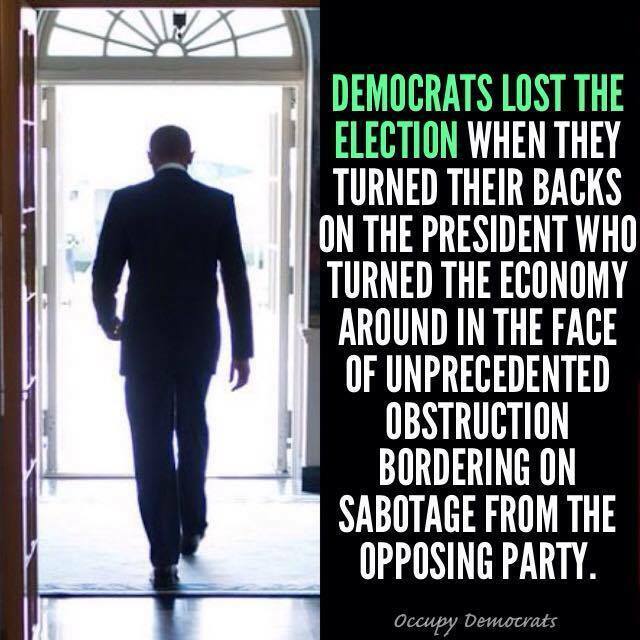 Democrats lost because democrats like Obama have turned their backs on key principles of the democratic party. And the sheep in Congress followed suit. You don't win votes by crapping on your base. When you've been acting like a moderate Republican for 6 years, why would democrats turn out to support you after you've dragged the party into the mud?